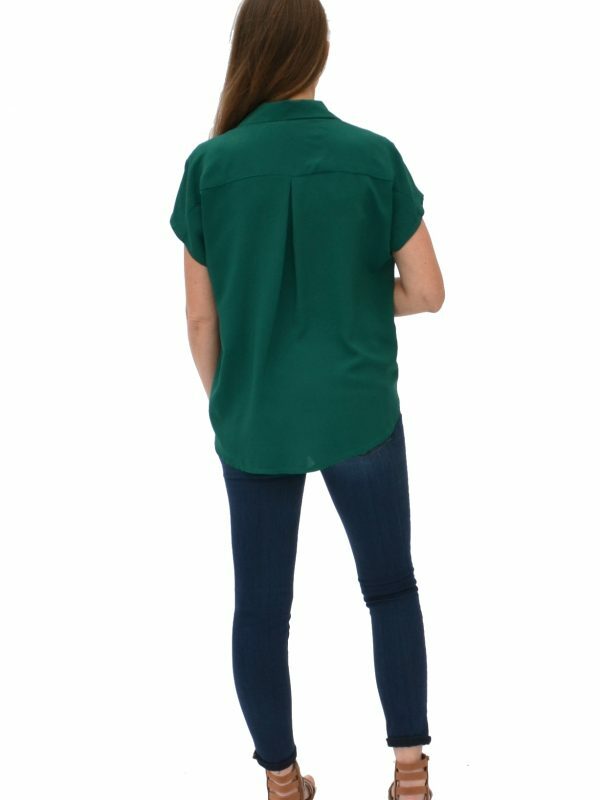 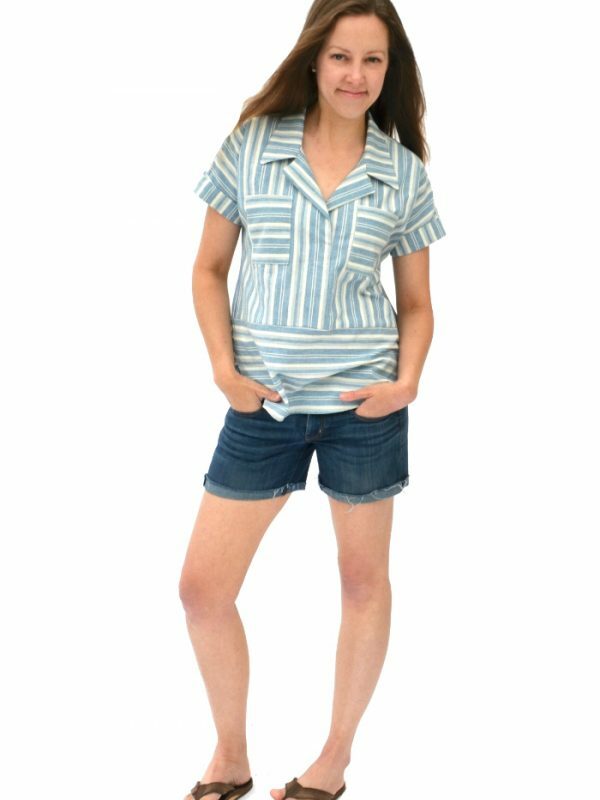 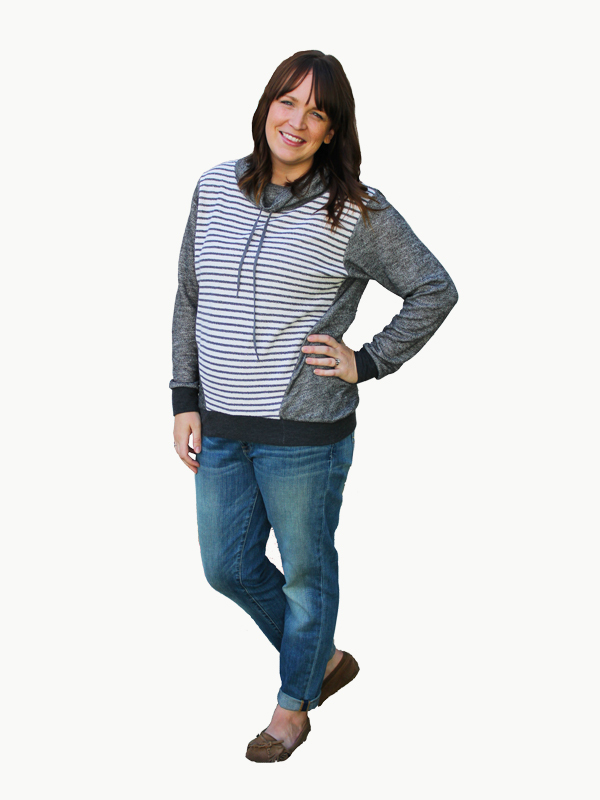 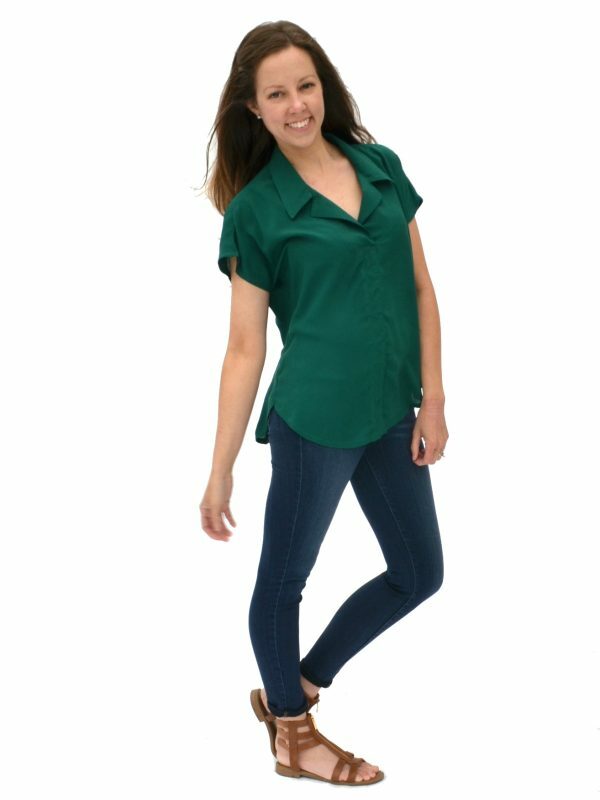 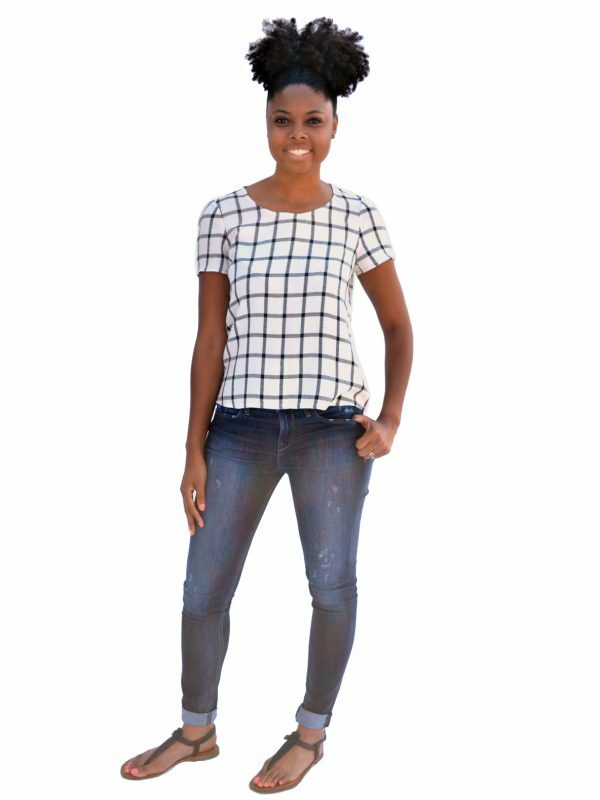 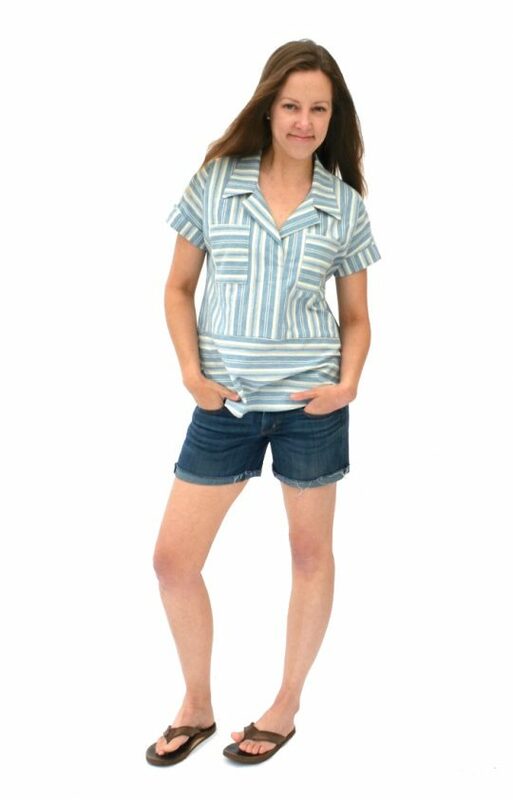 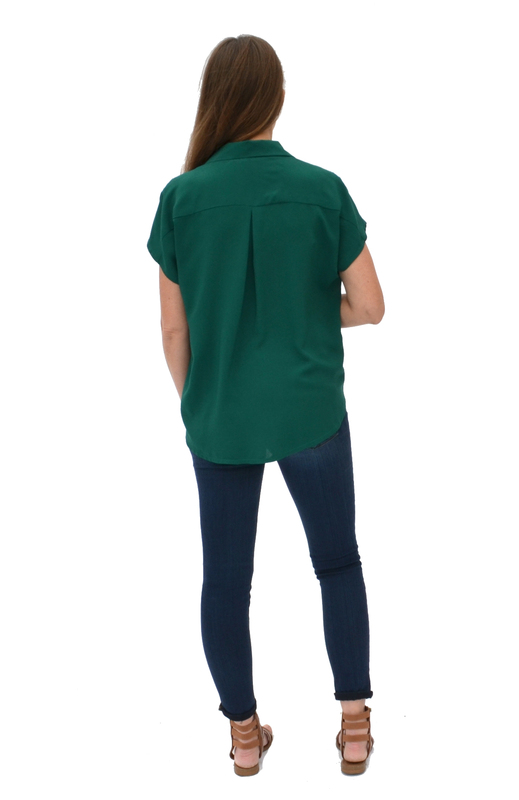 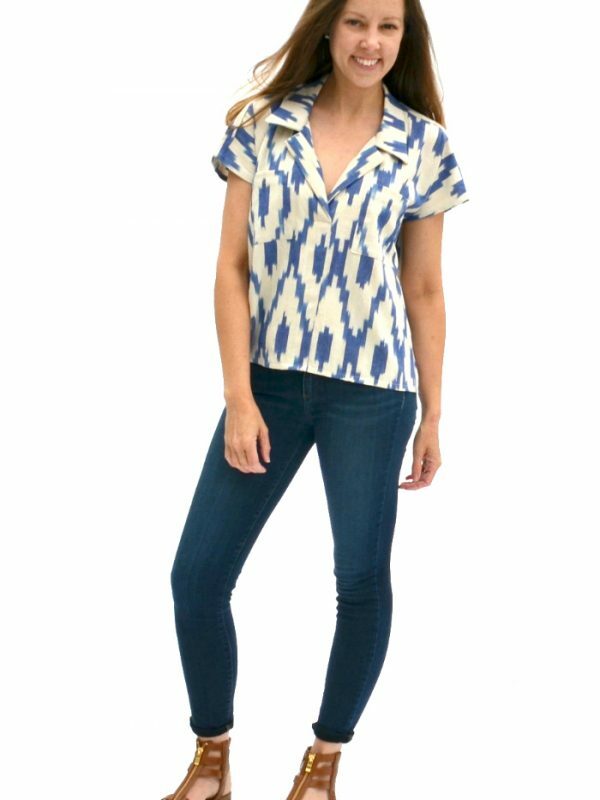 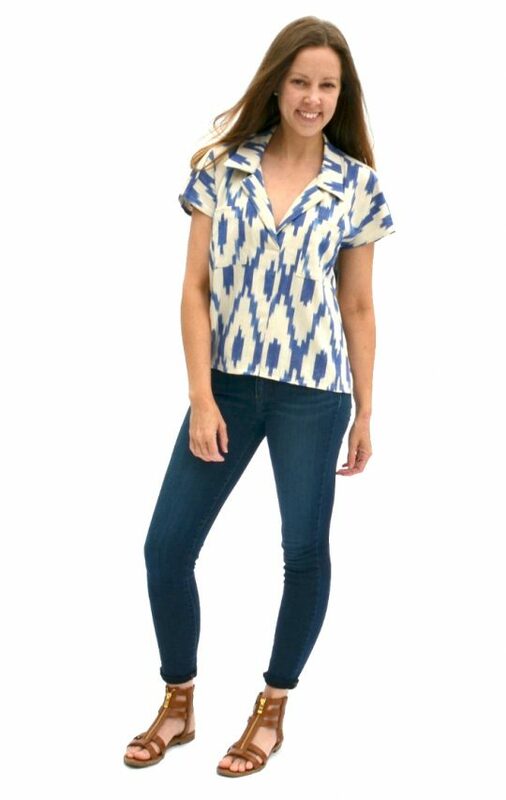 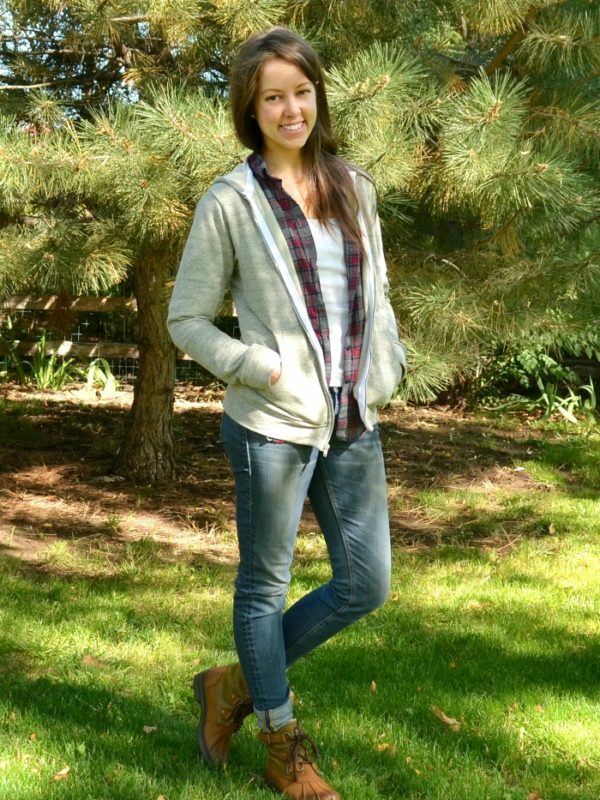 THE WILLAMETTE is a casual boxy dolman popover shirt in three views. 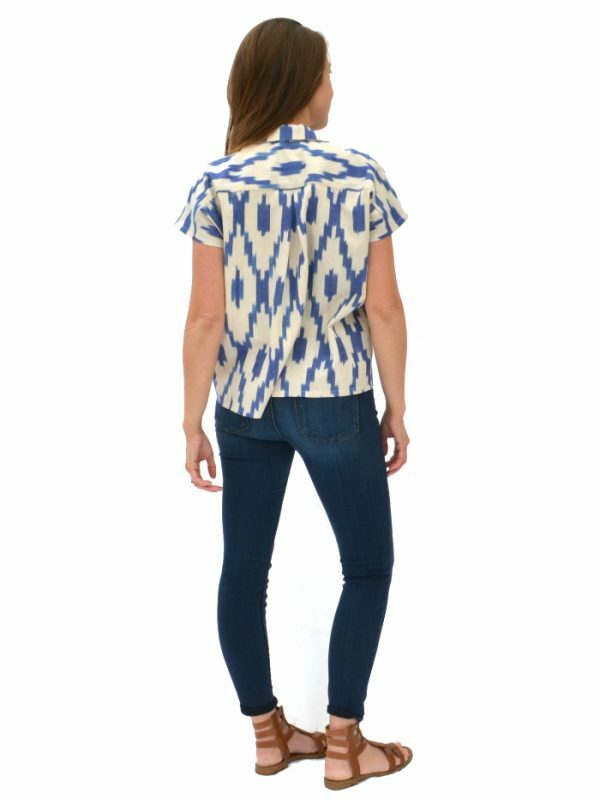 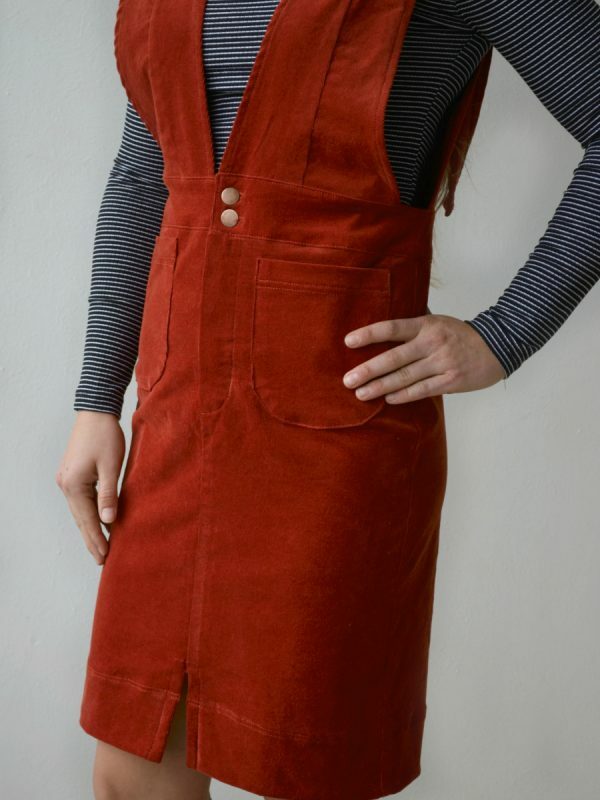 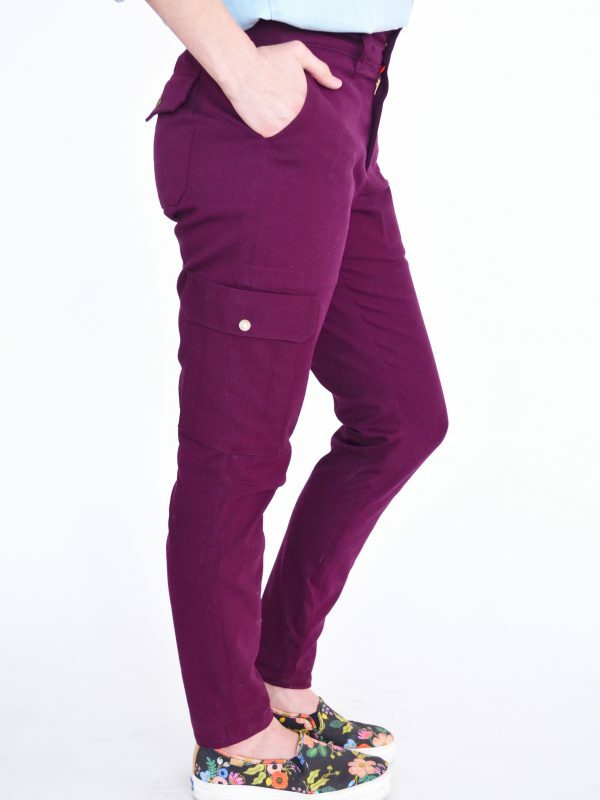 View A features a shirt tail hem and view B puts a twist on it with a waist seam for fun colorblocking opportunities. 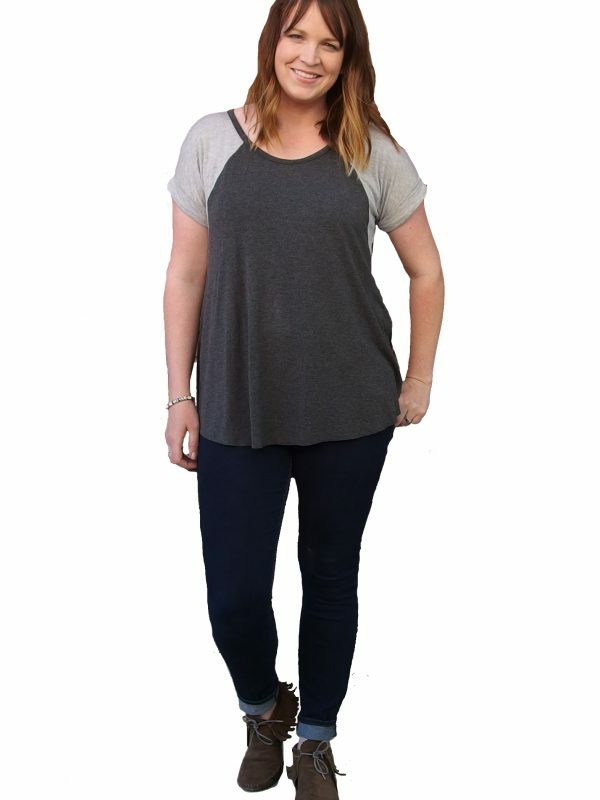 View C is a cropped shirt, perfect for pairing with high waisted jeans. 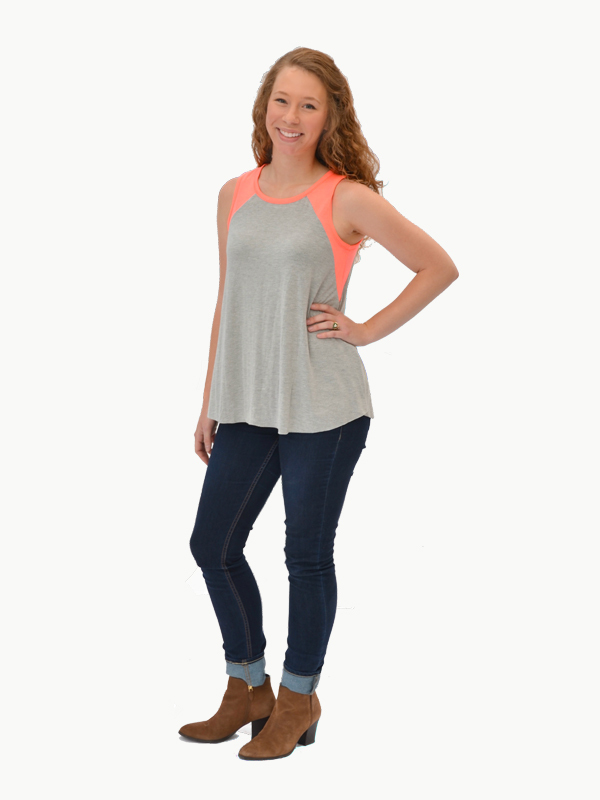 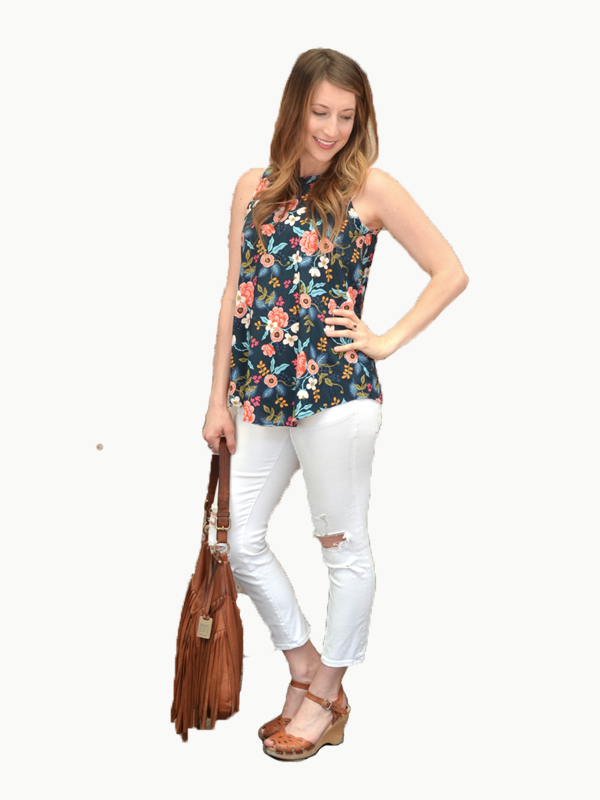 All three views have easy faced plackets, a one-piece collar, back yoke, and back pleat. 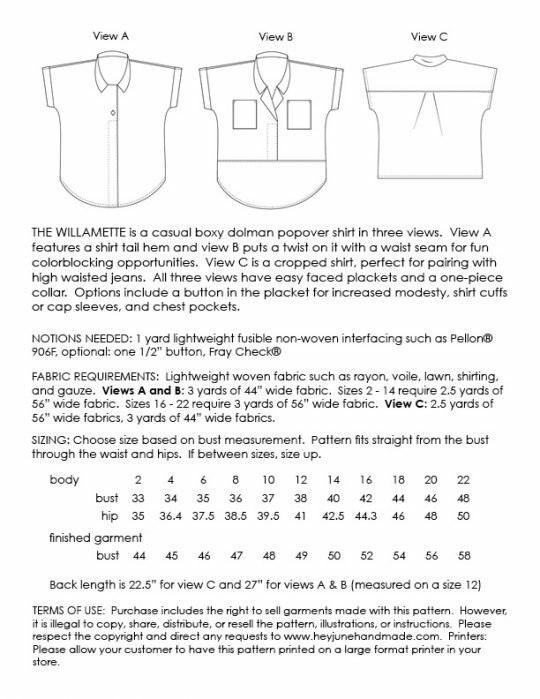 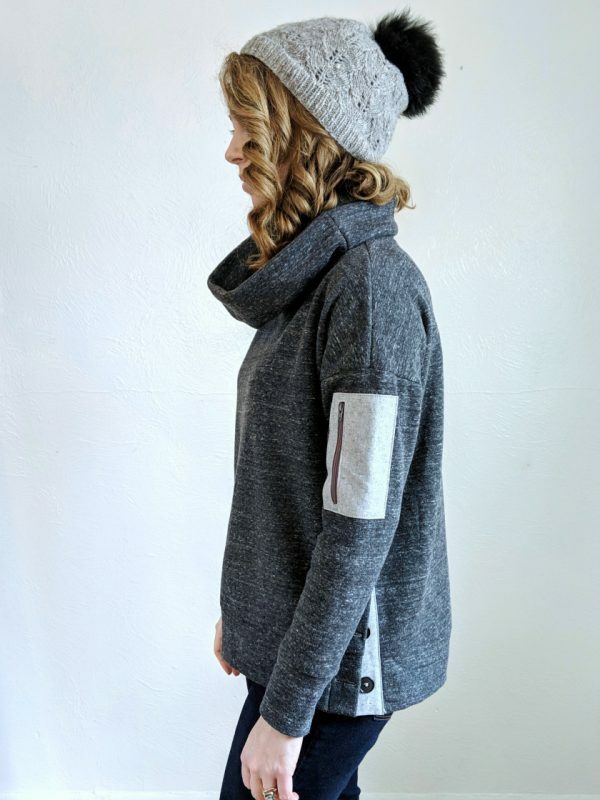 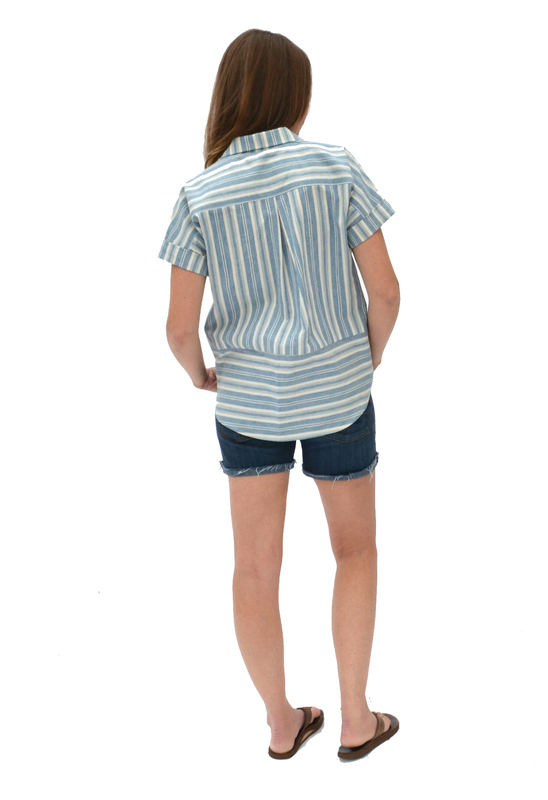 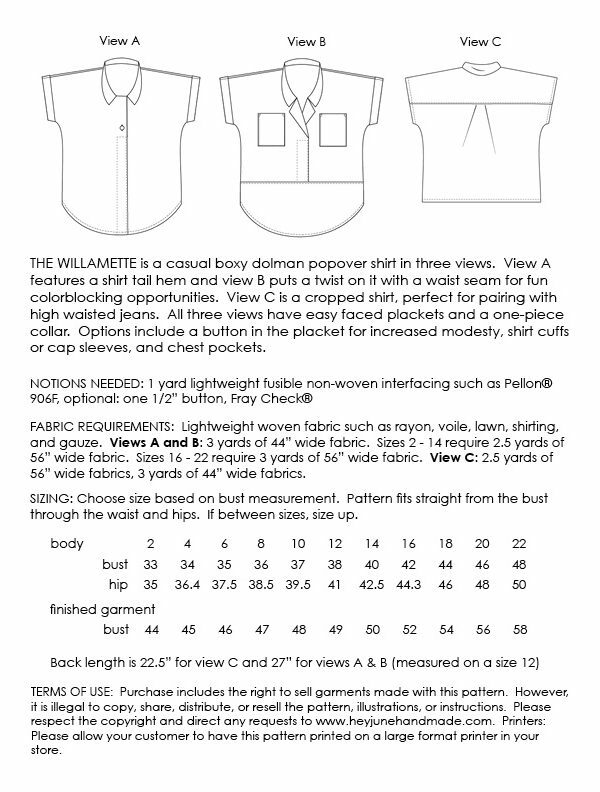 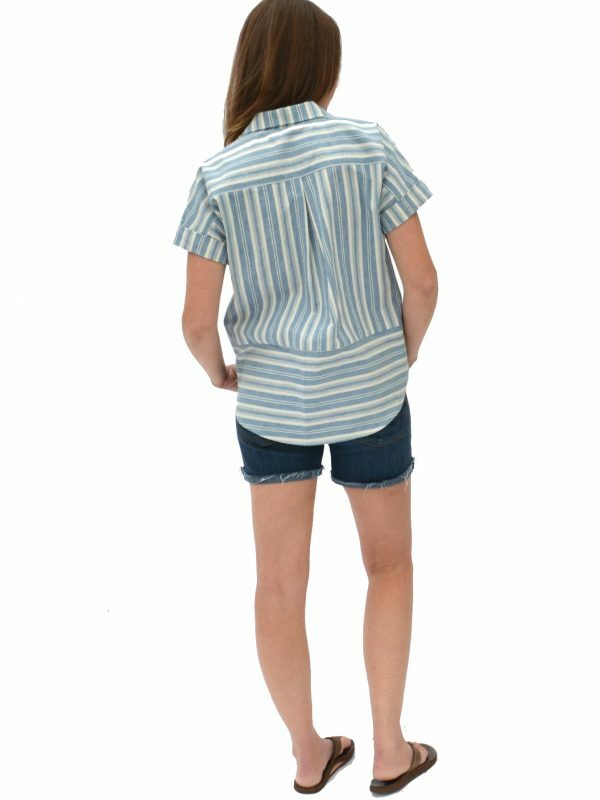 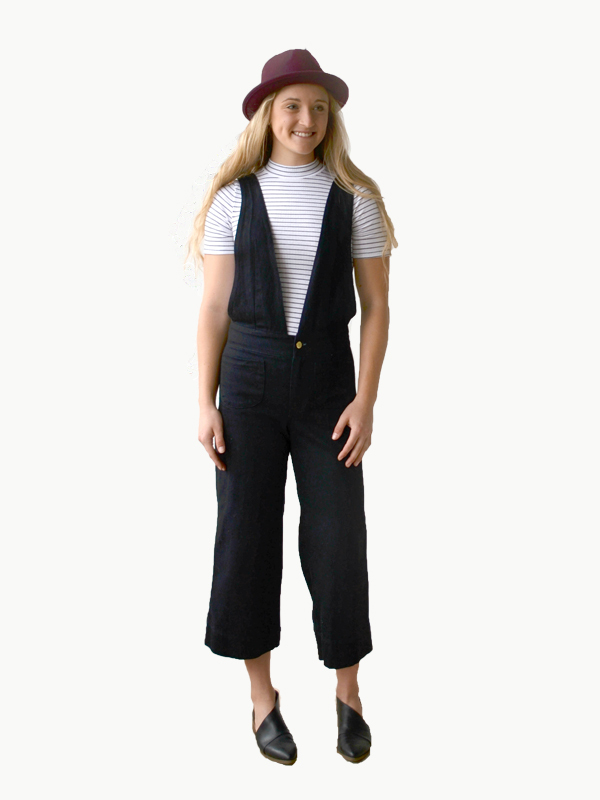 Options include a button in the placket for increased modesty, shirt cuffs or cap sleeves, and chest pockets.